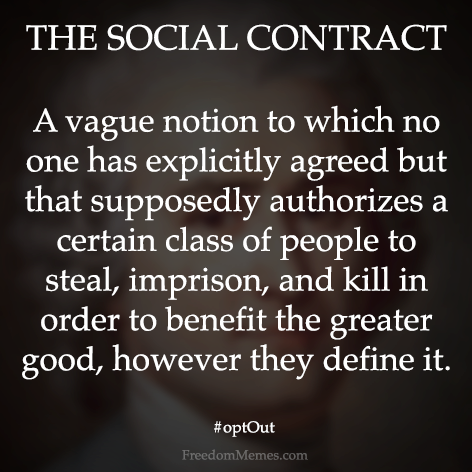 "A vague notion to which no one has explicitly agreed but that supposedly authorizes a certain class of people to steal, imprison, and kill in order to benefit the greater good, however they define it. Totally Legit. Riiiight..."